It’s quite likely that the cable operator in your town not only brings you scads of television programming, but also offers speedy Internet access. And if that cable operator is Time Warner Cable Inc., it may one day bring something else to you—higher prices in the form of metered Internet service. According to Business Week, Time Warner Cable is testing data plans that run from $30 – $55 a month that include caps of 5, 10, 20, or 40GB of usage. (The kind of unlimited usage enjoyed today by Time Warner’s customers would be $150 a month.) Exceed your plan’s cap and you’ll pay a buck per additional gigabyte consumed. Time Warner has given this scheme a whirl in Beaumont, Texas to mixed reviews and intends to expand it to Rochester, New York; Greensboro, North Carolina; and San Antonio and Austin, Texas. Now who exactly are the 14-percent of users who would be affected by such a scheme? People very much like me, and—given that you’re reading this story—probably you too. Because (if I know my audience) you download music and video and you’ve likely dabbled with streaming video from services such as Hulu.com and Netflix. As this kind of thing becomes popular—as it surely will—what are the odds that our 14-percent will grow until it includes the majority of broadband users? I give it five years and I expect Time Warner Cable does too. 86-percent of Time Warner’s customers may be clueless about rich online content today, but they’ll eventually catch on. And Dudley and crew are hoping that by the time they do, these caps will be cocked and loaded. Now Dudley and the company he works for may talk about the cost of infrastructure to serve our increasing appetite for bandwidth, but let’s cut this nonsense and focus on what this is really about: The death of cable. And so in order to protect its cable business, Time Warner Cable is doing its best to make “free” Internet content too costly to consider. This would be fine in an open market. Competitors could leap in, vilify Time Warner Cable for its shenanigans, and offer the kind of unlimited broadband that we largely enjoy today. Except—and you may have noticed this in financial circles—this whole unfettered free-market thing hasn’t worked out so well. Riddle me this: How many cable operators do you have in your town? I’ll start. Go ahead, you count now. 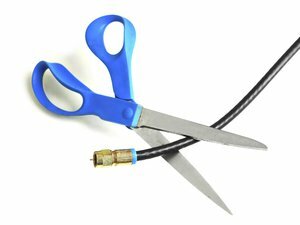 Time Warner shrinks from the word “monopoly,” but let’s face it, it and other cable operators drove the little guys out of business over a decade ago. They own their respective spaces. And the fact that they control both cable TV and broadband and are willing to manipulate one to affect another in the vast markets they control should make someone start paying attention. I’m an entire country away from this guy’s district, but I like the way he thinks. If you do too and would like to express the power of you, send him an encouraging e-mail message. The unfettered broadband you save may be your own. ROCHESTER, N.Y. - Today Congressman Eric Massa (D-NY) thanked the grassroots movement which helped Time Warner arrive at the common sense decision to abandon their plan to charge broadband internet customers based on how much they download. Rep. Massa took a lead on this issue by first voicing his opposition on April 7th. He later announced that he will be sponsoring the Massa Broadband Internet Fairness Act which would eliminate broadband internet caps, increase competition and provide incentives for businesses while protecting the consumer. The most heartening news to me is that he intends to go forward with this legislation. The cable companies are threatened by online content and it’s unlikely this is their last attempt to throttle it. Story updated to announce Time Warner's change of plans, put Greensboro in the correct Carolina, and correct top-tiered price—it's 40GB, not 50GB.